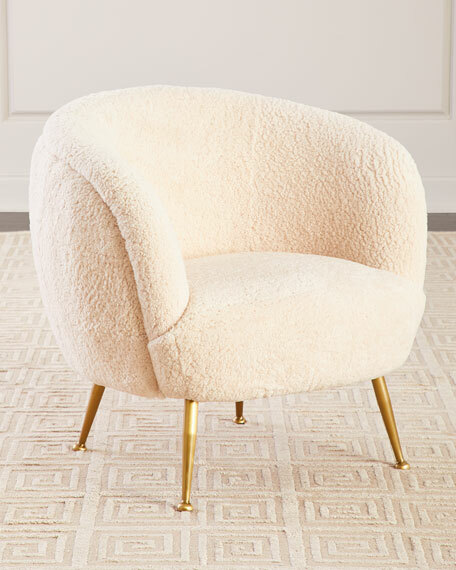 The modern simplicity of 1940's Scandinavian design gets infused with 1960's Hollywood dinner party glam for this sensibly stylish club chair. 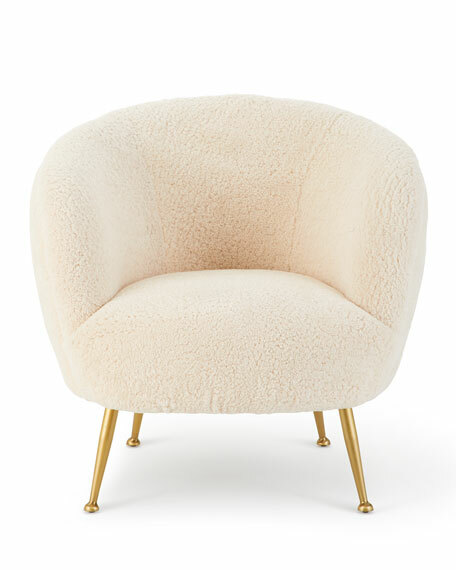 Its enduring silhouette, soft sheepskin and natural brass legs will flatter any space. Often placed in pairs as side chairs or in fours as conversational-seating. 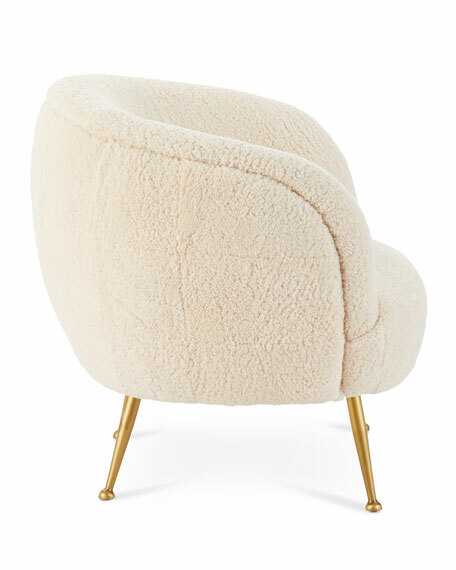 Handcrafted chair upholstered in dyed sheepskin (China). Stainless steel legs in antiqued brass finish. 29"W x 31"D x 29.5"T.